3M Motor lead pigtail splice kit includes three pigtail lug covers, three mastic sealing strips, three locking pins, three tubes of silicone grease and instruction sheet. 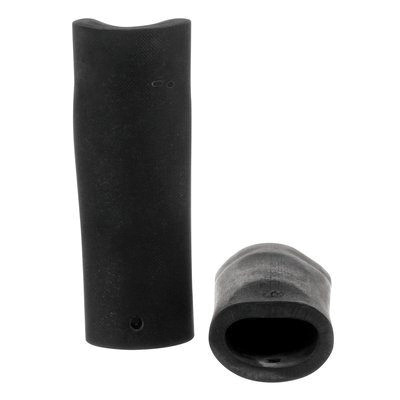 The lug cover in black color, has EPDM rubber construction for added durability. It accommodates 2 - 1/0-AWG feeder and 4 - 1/0-AWG motor lead cables. This kit is suitable for use with copper compression and 1-Hole lugs. Kit is CSA certified, RoHS compliant and meets NIOSH standards.